September 14th is the launch date for the nationwide BOOKS ARE MY BAG campaign, which will highlight the role bookshops play in enriching our high streets and communities. Television adverts will be shown at peak viewing times and will feature a host of well known faces, all telling us why they find bookshops great places to browse books and meet with friends and family. Bookshops are under intense pressure these days and this is the biggest campaign ever mounted by The Booksellers Association to remind book-lovers that the place to buy your books - and foster a love of reading in your children - is a bookshop. We sell real and electronic books because we recognise that people read in variety of ways, and we are passionate about reading. We are also passionate about choice, and keeping vibrant bookshops on the High Street is the best way there is to ensure that quality books continue to be published. We will each be celebrating the day in our own way, but we are working together to bring you a great FREE competition! In each of our shops, from September 14th until December 21st, you can "Guess the Books in the Bag". Using the Booksellers Association's Christmas Catalogue, we will each make up a list of books, from which you have to guess which titles we have placed in the bag. We will draw the winner's name on December 21st, so the lucky winner will get a bag full of books for Christmas! Launching at Wenlock Books (hosted by Wenlock Pottery) at 7 o'clock on 20th September 2013, tickets: £5, there will be a bar. Slightly Foxed started life as a quarterly magazine for book lovers in 2004. Nine years later, the magazine is thriving and Slightly Foxed has grown to be a well-loved independent publisher, with a series of beautiful hardbacks and a second-hand and new bookshop in London, Slightly Foxed on Gloucester Road. Editors Gail Pirkis and Hazel Wood are here to speak about life in independent publishing and book-selling. Christabel and Peter Bielenberg, a young lawyer from a liberal Hamburg background, met there while she was studying singing and married in 1934, not long after Hitler’s rise to power. In 1939 the couple moved from Hamburg to Berlin, but when Allied bombing made the city too dangerous, Christabel fled to the country with their three small sons. Her picture of wartime life in the remote German countryside still comes as a surprise. In the cities food supplies dried up, friends betrayed friends and speaking out was dangerous. But in the village of Rohrbach there was little sympathy for the Nazi party, nobody starved, people looked after one another, and Christabel and her family were warmly accepted into village life. In 1944 Peter’s close friend Adam von Trott was hanged for his part in the failed July plot to assassinate Hitler. Peter, who returned to Berlin just too late to take part, was arrested, interrogated and thrown into Ravensbrück concentration camp. In an act of extraordinary daring, Christabel demanded an interview with the Gestapo and, wearing her best coat and her gayest smile, managed to obtain his release. 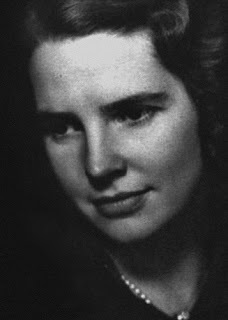 Christabel herself said that she wrote The Past Is Myself out of a sense of duty – to let the world know that there had been another Germany and that being a German was not the same as being a Nazi. As well as telling a moving and romantic personal story, it’s a book that casts an unexpected light on the wartime behaviour of many ordinary Germans and on life under the Third Reich. allowed to slip out of print. The Autumn Quarterly will be available at the launch event. See you there! Tickets from Wenlock Books. 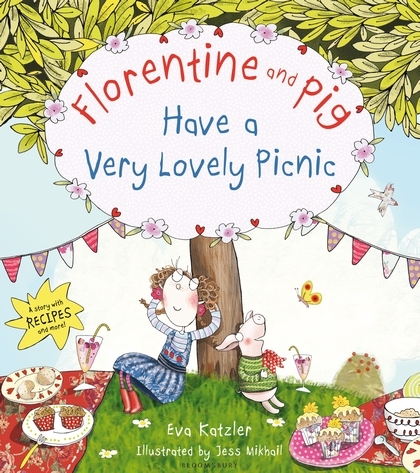 September 6th: new Shropshire book launch! 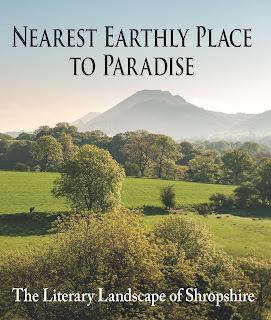 “Nearest Earthly Place to Paradise; the literary landscape of Shropshire” by Geoff Taylor and Margaret Wilson, will be published by Merlin Unwin and launched by Wenlock Books. Join us at Wenlock Pottery at 6pm. 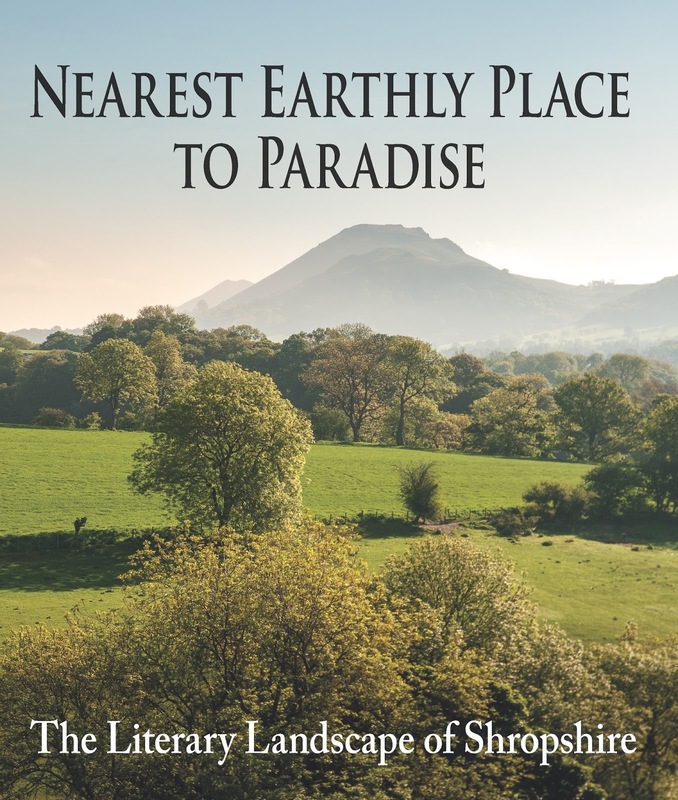 This elegant anthology includes writing about Shropshire from Charles Dickens to Tom Sharpe, from AE Housman to Bill Bryson. Their words are matched on each double-page spread with stunning new photographs of Shropshire which beautifully capture the landscapes that inspired their writing. Meet the publishers, the editor and the photographer (and the bookseller!). See you there! No charge. Genfan and Barker - Combining Sublimely ! I'm very excited to be promoting an event with Sally Barker and Vicki Genfan at Wenlock Pottery on Wednesday November 20th. Tickets for this fab event are just £5 and will go on sale on October 1st at 9am. 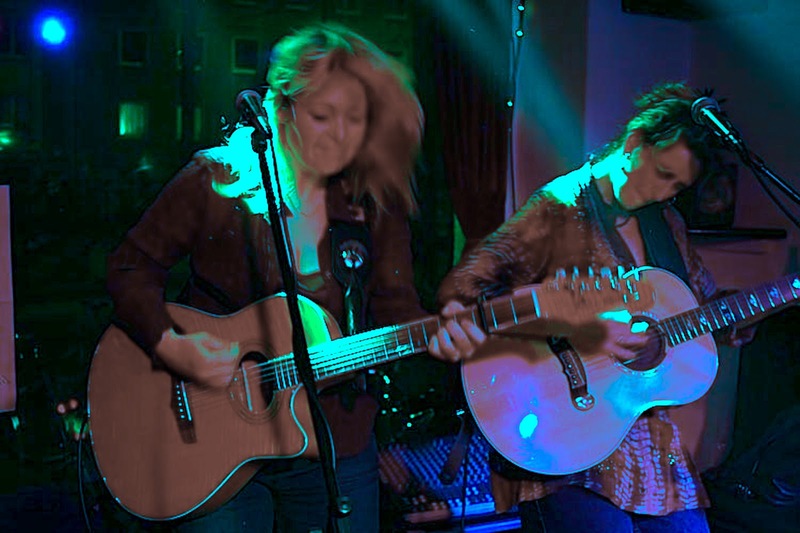 The Pottery's laid back and intimate atmosphere, with log fire, candle-light and cabaret style seating, combined with a well-stocked bar and a warm welcome from our hosts Sheila and Mike, make this a perfect venue for this brilliant musical duo. I first saw Sally many years ago at Shrewsbury's Jazz Club in the Buttermarket. Since then I have seen her many times (in addition to wearing out my CDs!) and she never fails to deliver a powerful and emotional performance. Here in Wenlock she has fronted the all-woman folk-band The Poozies, and appeared with Debbie Cassell and Glenn Hughes presenting the Joni Mitchell Project. 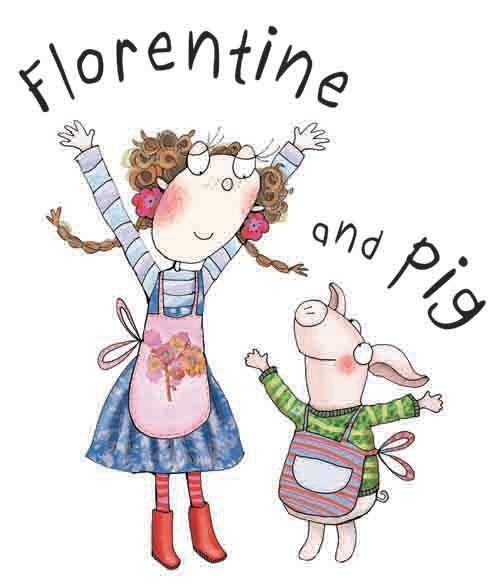 I am delighted to welcome Vicki Genfan to Much Wenlock with Sally and look forward to a sell-out event. Vicki Genfan is a dazzling instrumentalist who plays and writes with her distinctive percussive 'slap-tap' acoustic guitar technique. As an award-winning singer/songwriter with a high-energy stage presence, Vicki draws her inspiration from folk, jazz, pop, soul and world music and her distinctive style pushes the boundaries of the singer/songwriter genre to new territories. Vicki was the first woman to win Guitar Player magazine’s Guitar Superstar Competition and was also one of the featured artists on La Guitara, a CD featuring the world’s top female guitarists across all styles. Having performed at hundreds of venues across the US and abroad, Vicki's festival highlights include The International Montreal Jazz Festival, Germany’s Open Strings Guitar Festival and Italy’s Soave Guitar Festival. While hopping between continents for performance and master classes, Vicki loves teaching, has three Instructional DVDs to her credit and is in high demand at clinics and music camps all over the world. Sally Barker is a singer's singer and a songwriter's songwriter. You will remember the very first time you heard her sing for her voice is like no other. She has the ability to lift the words off the page and can move people to tears armed with that 'bucket-full of soul' voice. As a singer, songwriter, guitarist and producer Sally has had a long and varied career in music. Labelled a folk artist for much of her successful career, Sally's appeal stretches across many more musical genres. A much respected solo artist with half a dozen solo albums to her name, Sally is also celebrated for her live and studio work fronting all-female folk supergroup The Poozies. Sally continues to tour and play at many festivals in the UK and abroad and is now working on several duo projects, including Genfan & Barker (with US guitarist and songwriter Vicki Genfan), Buck & Barker (with multi-instrumentalist Keith Buck) and Barker & Son (with her son, Dillon Wakeford). The annual Flower Festival at Morville, between Bridgnorth and Much Wenlock on the A458, will be held on May Bank Holiday week-end, Saturday 4th - Monday 6th May, you can read all read about it HERE. 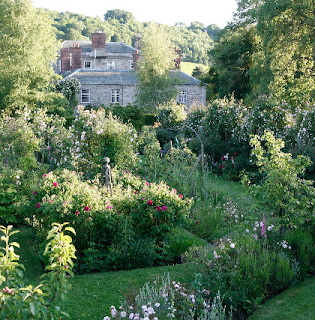 Katherine Swift's book about her garden at the Dower House, The Morville Hours: the Story of a Garden, was the bestselling book in Shropshire ever, outselling even Harry Potter. It was serialised on BBC Radio 4 as 'Book of the Week', and Katherine has recently finished reading it (unabridged) for the Royal National Institute for Blind People's 'Talking Books' scheme. 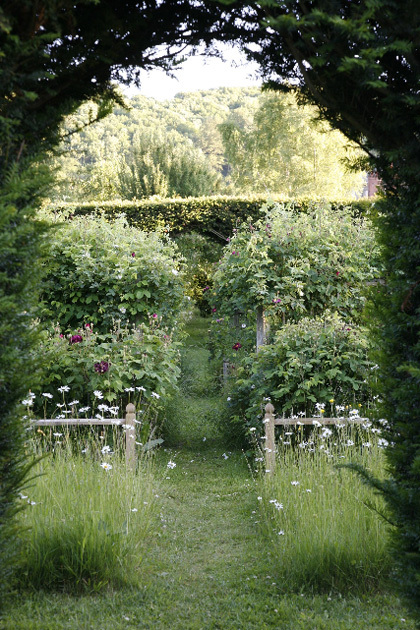 Her latest book, The Morville Year, was published two years ago, and her next book, The Morville Rose will complete the trilogy and is due to be published next year. The Morville Year is an inspiring book, beautifully written, full of knowledge and wisdom that is written with the lightest of touches and with real grace. Katherine ranges from Bob Dylan to Gertrude Jekyll; from picking blackberries to star-gazing; from trundling around the countryside on her motor-bike to catching the stopping train (28 stations) to Cornwall. She gives us the recipes to the delicious scones she serves at her open garden afternoons, and shares the secrets of quince paste and cassis. The origins of decking our halls with boughs of holly are explored along with the druidic and Celtic rituals that still mark the turning of the seasons. 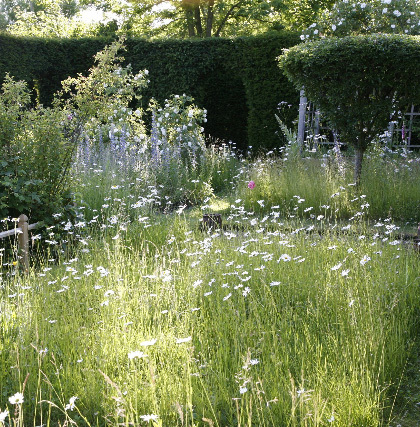 What comes across so clearly is her passion for her garden, for the little bit of earth from which she has created this exquisite, ever-changing, historically and spiritually rooted series of gardens that is the Dower House garden. Katherine mentions that it sometimes takes an artist to enable us to see what is in front of us in real life. For me, Katherine is that artist, who paints with words, and who so faithfully and remarkably pays attention to the smallest miracle and then writes about it for us, so that we can see, and share, and wonder, too. 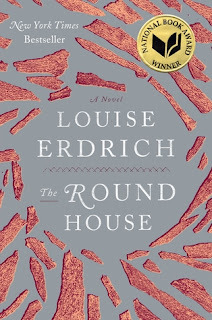 On June 26th at 7pm in the bookshop, we will meet to discuss Lousie Erdrich's prize winning novel, The Round House, published by Constable and Robinson on May 16th. You'll have just over a month to read it! I have read nearly everything by Louise Erdrich, having started with Love Medicine back in the mid 1980's. This is one of her best! (and it doesn't matter at all if you haven't read her before, it's a stand alone novel). Join us for a glass of wine, nibbles, and some good book chat! All welcome, £5. One Sunday in the spring of 1988, Geraldine Coutts is brutally attacked on her North Dakota reservation. At first her thirteen-year-old son, Joe, tries to heal his mother. But she will not leave her bedroom; traumatised and afraid, she simply shuts the door, shuts down, and shuts everyone out. Increasingly alone, Joe finds himself thrust prematurely into an adult world for which he is ill-prepared. 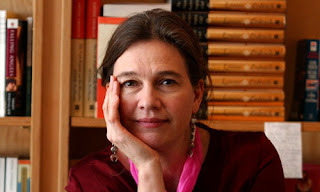 Just ahead of publication, a major national interview with Louise Erdrich was broadcast on BBC Radio 4 Open Book on 15th May; the book was also reviewed on BBC Radio 4 Saturday Review on 18th May. Reviews have already appeared in The Times, The Sunday Times, Independent on Sunday, Scotland on Sunday and Glasgow Herald with further widespread national coverage guaranteed in the Guardian, Daily Mail, Metro, Sunday Express, TLS, New Statesman, Intelligent Life, Prospect, Good Housekeeping, Easy Living, Red, Woman & Home, Mslexia. 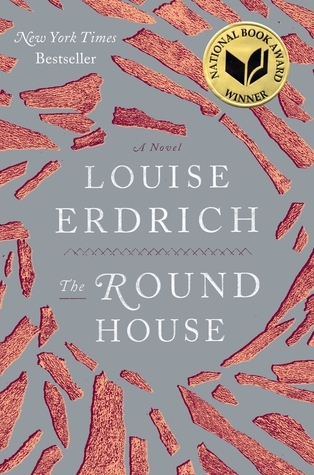 The Guardian featured The Round House by Louise Erdrich as one of its literary bookmarks for the year. 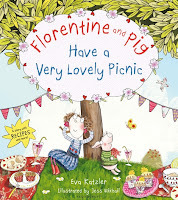 Picked as part of Charlotte Heathcote’s 2013 Book Guide in the Sunday Express. Half Term Treat! "Bringing Books to Life"
Join us - you'll be made very welcome! 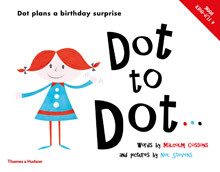 Please bring your 3 - 7 year olds to explore story-making and story-telling with Malcolm, with colouring and 'dot-to-dot' activities for the younger ones. We ask that parents stay in the shop while the children enjoy their activity session - but the coffee will be on and we will make you very welcome. (Alternatively, the Deli next door and the Copper Kettle across the road will both be open and are near enough that we can call you back if needed!) The session will last about an hour. This is a FREE session; the book will be for sale and Malcolm will be delighted to sign copies. Do please let us know you are coming so we can prepare the space! Malcolm Cossons is the author of Collect Contemporary Photography and Collect Contemporary Jewelry, both published by Thames & Hudson. Neil Stevens, the illustrator, has had work featured in the Guardian, Wired and Ammo. Short, sharp, inspiring, talks by artists and makers on the Perch Bench at Twenty Twenty Gallery. 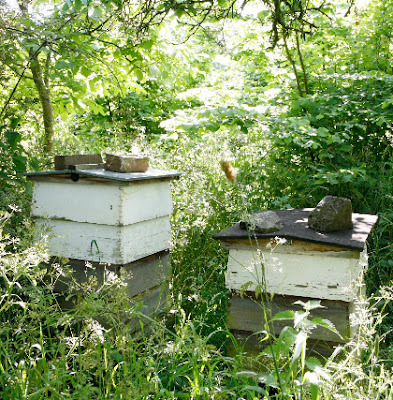 …will talk on the relationships of poetry and letter carving and his experience of using poetry in public art commissions. … will talk about some recent collaborations with poets and will reflect on his own personal approach to writing and book-making. Welcome to the Wenlock Books blog. 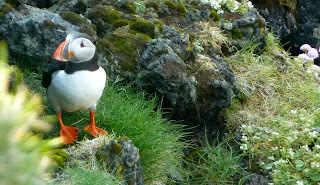 I hope you enjoy your visit here. We would love to see you in person too! We are open Monday - Saturday, 10 - 5.00pm.